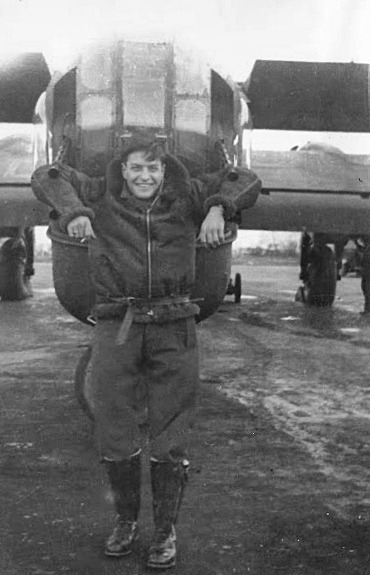 Joseph Bachand enlisted on October 31st 1940, the youngest member of his family, he had his sights on being an Air gunner or Wireless Operator. Following the normal of training sequence then in place he completed his Wireless training and in May of 1941. It wasn’t until March 29th 1942 that LAC Bachand found himself at No.7 Bombing and Gunnery School (7 BGS) in Paulson, Manitoba. During the interim he was stationed at various training bases within the province of Quebec. When he finally was posted to No. 7 , the whole cycle of training had been changed. The BCATP had made numerous changes to all areas of the training for aircrews. The numerous skills needed to be Air Gunners were taught both on the ground and in the air. While the ground training would gain the new gunners a basics of the gun’s operation and help them develop a skill at hitting their targets. The real world they would face in a three dimensional battlefield of aerial warfare would be taught in the air the Fairly Battle. The Battle as a front line bomber was short lived. This single engined light bomber was too slow with it’s load of three crewmen and the bombload to remain in front line service. Many were transferred to training bases for multiple use. Gunners practiced shooting from the rear gunners position on the Battle at cloth cone shaped target drones pulled by other aircraft. 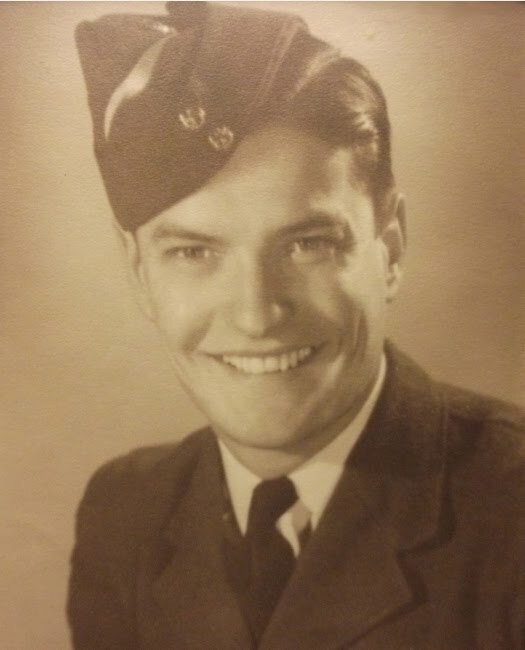 Arriving overseas in June of ’42 and as all RCAF personnel did was posted to No. 3 Personnel Reception Centre located in Bournemouth, a sea side resort on the South coast of England which was in easy reach of the Luftwaffe just across the channel. Where everyone awaited their postings or further training. And so again Joseph Bachand found himself at No. 7 Air Gunner School, although this time it was at RAF Stormy Down, near Pyle. Returning in early November to the oddly named Air Crew Disposal Wing Brighton Which was just one of the many hotels in Brighton. Where he played the military game of waiting, eventually posted to “R” Depot in Houghton Green, Lancashire. These Dispatch Centers were a further step towards frontline postings. From January 19 to June 22 1943 (5 months) he posted to No. 23 OTU. Operational Training Unit at Throckmorton, Worcestershire. OTU's were where the RAF and RCAF trained the crews to work as a team. Up till this time courses were focused on only the trade of the individual airman with little if any interconnecting with other aircrew trades. OTU's were where crews formed up, all aircrew trades would assemble and mix around sorting themselves out. As one veteran put it, "it was like going to your first dance everyone milled about in groups of friends, while trying to find a partner and not be left out of the party". It always worked out best it seems if the individuals made their choices, but of course it was the pilot of the aircraft who would make the final decisions. Then it was his duty to weld them into an effective team. As a Wireless Operator /Gunner Sgt. Bachand would become an important member of the team both duties would demand the full attention of Joseph. Now flying in an actual bomber with a full crew that would rely on him to work and possibly repair the radio while the dangers of front line actions were going on all around him. The missions were at times considered "milk runs", although there were still the dangers associated with raids they would later be called on to be part of. Bad weather, roving fighters and flak still were the daily threats to the crews. The main aircraft in use at this time in the OTU units was the twin engine Wellington, the crew would now begin a new set of training procedures at the Heavy Unit Conversion bases. The larger "Heavies" all had four engines and required two additional airmen, another gunner and a new trade would join the team, the Flight Engineer. The Flight Engineer would be the right hand man of the pilot. And so again, now as an expanded crew they would take part on operations to smooth out any wrinkles of flying a larger aircraft and learn how to use their new charge to it's best advantage on their future missions. 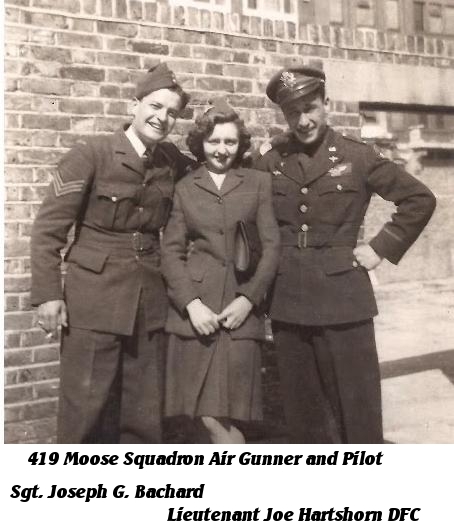 On July 15th 1943 WO II Bachand is posted to 419 Moose squadron. 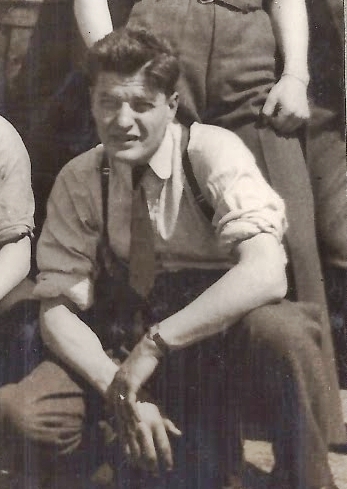 Between July 27th to February 12th he had flown on 16 previous operations with F/O Laidlaw and crew. When on the night of February 12/13 1944 on a mine laying mission to Borkum Island when the aircraft was lost. The lost was a mysterious one. Five other crews in the area saw no enemy aircraft or other enemy action such as flak. No mayday was received back from the aircraft and no explosions were seen by the other aircraft. No Luftwaffle records show any claims for aircraft during that time and place. And so this experinened crew and their aircraft disappeared somewhere after there leaving their base. Leaving no trace or record of what happened.